The recent series of papers has done a more effective job than any GP paper of making students question whether there truly is a god. To best understand the trauma faced, a crack team of reporters from this esteemed publication was quickly dispatched to investigate. 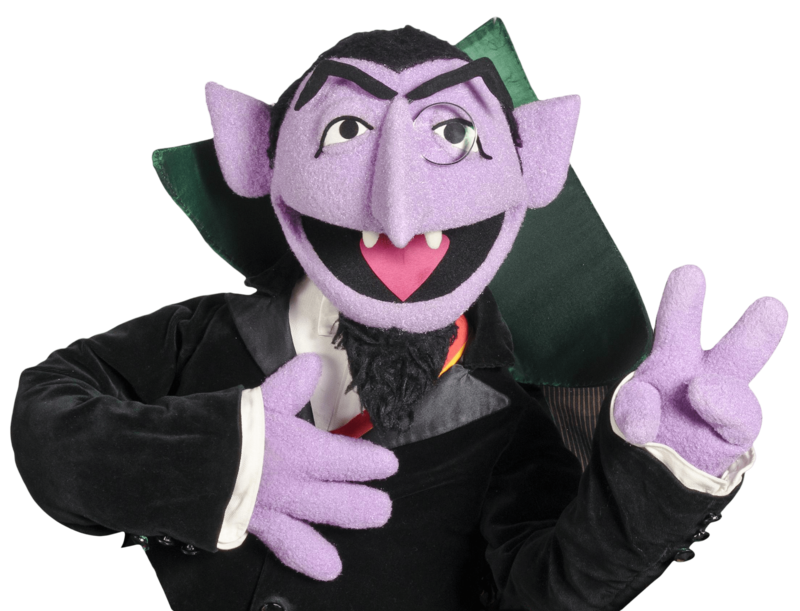 We spoke to Mathematics Chief Examiner and high ranking member of both British nobility and Mousehunt, Count von Count. From the Count’s appearance, it quickly became apparent why the newly set papers were out for blood. A self described hater of “Eco-nutters” and great follower of Patrick Moore, he made it a point to remind students about how long it took to grow trees before leaving 3 full empty pages at the end of the paper. Many speculate that he might actually hate the sun, explaining why he encourages the kind of tree burning that Singaporeans are all too familiar with. Other members of the examination death squad are also well known members of the nobility. Earl Simmons is the famous author of the mathematical ballad “X Gon’ Give It To Ya”, a heartwarming song about how students frequently get rekt by mathematics. Earl Grey is the department’s expert on “tea distribution”, taking it upon himself to deliver tea and scones to mathematicians as they perform interesting tasks including watching plants grow and weighing pineapples. When interviewed, prominent student Ji Ji Leow made several astute observations, saying “who writes square root like that” and “simi feet and inches”. As usual, an establishment that can only be described as a mathematics sweatshop was quick to release all the answers to the exam questions (by employing what could only be an army of maths teachers). Their strong aversion to formulae meant that their solutions would unfortunately net them a grand total of 0 marks due to the absence of working. The disaster that unfolded on Monday was arguably worse though. A catastrophic data analysis rife with negative axes and more variables than one could count tore into students morale. Students were generally divided on whether the value s=-3 was an indication of their score, their grade or both. Examiners also denied the snaek population the usual comforts of definition marks. Also very impressive was the planning question. Having destroyed any shred of confidence the student may have had, the planning question made students question themselves repeatedly as they advocated for the placement of an electrical appliance in water. Top physics tutors were seen making puns after the paper about how the students were in “hot water” and how placing a lamp in water was not a “bright idea”. Cambridge’s merciless attack did not cease there however. The case studies about potatoes and solar panels made a significant dent in the morale of the student population. Many complained that the entire case was macroeconomics. However, economics tutor Mr Yew Dun Ngoh, Jack explained that the microeconomics questions were simply too micro to be visible to the naked eye. Students were generally favourable towards Sirius’ plans to construct mines in North Yorkshire, especially after their founder’s unfortunate encounter with Lord Voldemort. They were not quite as receptive of Uralkali though, with many seen shouting “yeah, well u r acid”. One student in particular was seen reflecting for several minutes before saying “I guess I am kinda basic”. They were however generally skeptical of the entire exercise, since most of the issues brought up in the case occurred in 2013 and it’s highly unlikely that nothing has been done since, making most questions redundant. Professional math extraordinaire Tansy said “wow, you use log graph, so suan, come I clap for you”. One student, who went only by Ms Reed, was seen complaining about how protecting the sasquatch had absolutely nothing to do with economics and that potatoes have proven unreliable at helping with food shortages in the past. Many aspiring comedians were spotted outside examination centres quipping about how Cambridge should set a “minimum score” and how “the government should protect us from this”. After futile attempts at figuring out why the EU government tried to tax a merit good, they were seen dumping 2 years worth of Case Study notes in the recycle bin, claiming that just like the minimum price suggested, it was somehow more “sustainable”. Waffle Press analysts speculate that the countries were specially chosen to illustrate important economics concepts. In particularly, the fact Germany opposed tariffs and Argentina imposed a 35% tariff is a clear sign that allocative efficiency should be the primary consideration in World Cup strategy. Already resigned to their fates, many unrepentant students are already planning a “regrad night” for next year and requests for tables are expected to commence within the next few weeks.